Posted November 25, 2009 in Captain Ethernet, Paul T. Connolly. 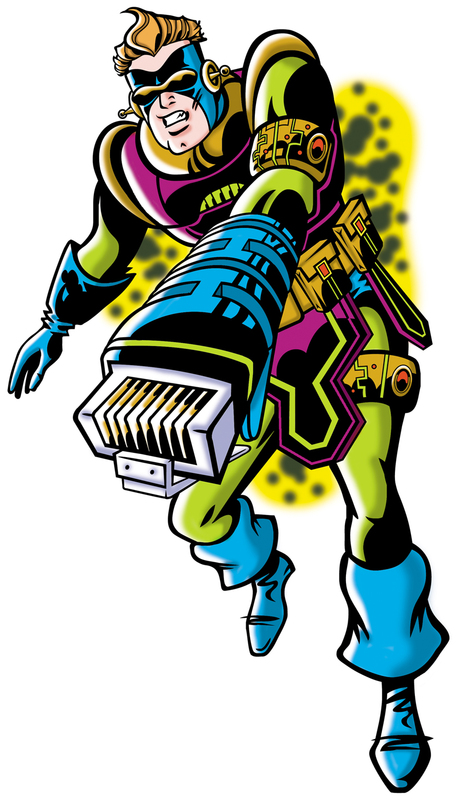 Captain Ethernet, a Kirby inspired commercial illustration from the pen of Graphic designer/illustrator Paul T. Connolly. KIRBY-VISION is a showcase for creative work inspired by the art and concepts of JACK KIRBY. Become a Member of the Kirby Museum! Blog articles are © 2009-2013 Jason Garrattley. All rights reserved. Comments © 2009-2013 their respective authors. All rights reserved. The postings on this blog are those of the authors and do not necessarily represent The Jack Kirby Museum & Research Center's positions, strategies or opinions. Website © 2005-2017 Jack Kirby Museum & Research Center, Inc. All rights reserved. All characters and art presented on these pages are ©, ™ or ® their respective owners. No challenge to any owner's rights is intended or should be inferred. The Jack Kirby Museum & Research Center is a tax-exempt non-profit educational corporation. Donations may be tax-deductible - please consult your tax advisor.